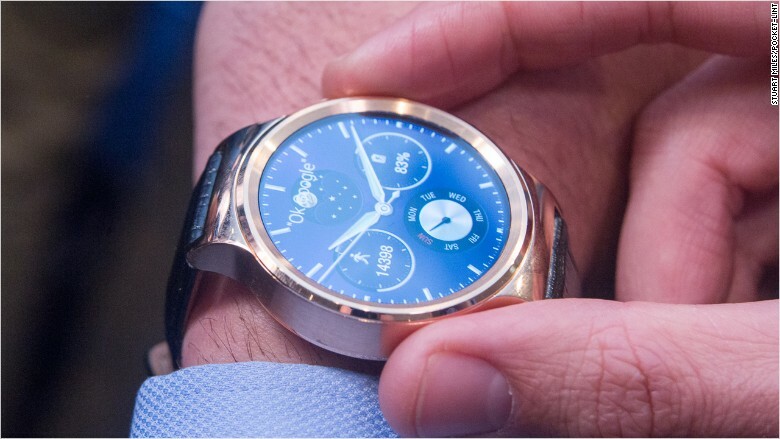 This stylish new smartwatch has been simply dubbed the "Huawei Watch." It is set for launch in June. The device will link to your Android phone to receive texts, emails, calendar notifications and app updates. It features a 1.4 inch touch-sensitive display, a scratch-resistant stainless steel frame, a built-in heart rate monitor, motion sensors, and super-strong sapphire glass, among other features. Wearers can customize the smartwatch with a wide choice of leather and metal straps. As Huawei unveils its stylish watch, the Chinese telecom giant is clearly indicating its ambitions to challenge Apple (AAPL) rather than just be another "me too" player.